Folha de S.Paulo, also known as Folha de São Paulo, or simply Folha (Portuguese pronunciation: [ˈfoʎɐ] , Sheet), is a Brazilian daily newspaper founded in 1921  under the name Folha da Noite and published in São Paulo by the Folha da Manhã company. Empresa Folha da Manhã is a company owned by Grupo Folha that runs dailies Folha de S.Paulo and Agora São Paulo and classified sheet Alô Negócios, a paper that circulates in Paraná State, Brazil. The newspaper is the centerpiece for Grupo Folha, a conglomerate that also controls UOL (Universo Online), the leading Internet portal in Brazil; newspaper Agora São Paulo ; polling institute Datafolha; publishing house Publifolha; book imprint Três Estrelas; printing company Plural; and, in a joint-venture with the Globo group, the business daily Valor , among other enterprises. Grupo Folha is the third largest Brazilian media conglomerate, after Grupo Globo and Grupo Abril. It was founded by Octavio Frias de Oliveira (1912–2007) and led by his son Luiz Frias since 1992. Universo Online is a Brazilian web content, products and services firm. It belongs to Grupo Folha enterprise. As of January 2015, UOL's website is ranked 73 on SimilarWeb and ranked 108 on Alexa Internet globally. Agora São Paulo, is a Brazilian newspaper published by Grupo Folha which also owns the broadsheet Folha de S.Paulo. It was launched in 1999 to replace Folha da Tarde. Agora now leads among the popular newspapers in São Paulo, and is the best selling newspaper in newsstands in the State of São Paulo. O Estado de S. Paulo, also known as O Estadão or simply Estadão, is a daily newspaper published in the Metropolitan region of São Paulo, Brazil, and distributed mainly nationally. It is owned by Grupo Estado, a holding company which publishes the Jornal da Tarde and owns the radios Rádio Eldorado AM and FM and the Agência Estado, largest news agency in Brazil. O Globo is a Brazilian newspaper based in Rio de Janeiro, Brazil. O Globo is the most prominent print publication in the Grupo Globo media conglomerate. Business flourished, and the controlling partners decided to buy a building to serve as headquarters, a printing press and then, in 1925, to create a second newspaper, Folha da Manhã . Also in 1925, Folha da Manhã premiered Juca Pato, a cartoon character drawn by Benedito Carneiro Bastos Barreto (1896-1947), better known as Belmonte. Juca Pato was supposed to represent the Average Joe, and served as a vehicle for ironic criticism of political and economic problems, always repeating the tagline "it could have been worse". Belmonte, the pseudonym of Benedito Carneiro Bastos Barreto, was a Brazilian caricaturist, painter, illustrator, cartoonist, journalist and historian, who began his career in 1912. In October 1930, when Vargas led a victorious revolution, newspapers that opposed him were attacked by Aliança Liberal supporters. Folha's premises were destroyed, and Costa sold the company to Octaviano Alves de Lima, a businessman whose main activity was coffee production and trade. Alves de Lima's initial goal, when he took over the newspapers in 1931, was defending the "agricultural interests", meaning rural landowners. But important events elsewhere became the focus for news organizations: the 1932 revolution, when São Paulo tried to recover the power lost to Vargas; the World War II (1939 to 1945), and the Estado Novo (the Vargas dictatorial period that extended from 1937 to 1945). Nabantino Ramos, who was an attorney, was very interested in modern managerial techniques, and during the 1940s and 1950s adopted several innovations: competitive examinations for new hires, journalism courses, performance bonuses, fact checking. He wrote a newsroom manual and editorial policy guidelines. Octavio Frias de Oliveira responded with a first page editorial entitled "Banditry", and stated that he wouldn't accept the aggressions or threats. That was followed by an article on the news bulletin of ALN, a guerrilla group, in which Frias was classified as an enemy of the organization and Brazil. The bad blood between the newspaper and the left wing groups deepened and reached a climax with the editorial "Political Prisoners? ", published in 1972,  in which the newspaper challenged the notion that there were people jailed for their political ideas in Brazil. The editorial was also a response to rival "O Estado", for its defense of a special jail regime for political prisoners. The editorial claimed: "It is well known that those criminals, whom the daily [Estado] wrongly qualifies as political prisoners, are just bank robbers, kidnappers, thieves, arsonists and murderers, acting sometimes with more exquisite perversity than those other, lowly common criminals, that the media outlet in question thinks deserving of all promiscuity". Abramo took over once again in 1976/77, but then a crisis caused by an attempted military coup against President Ernesto Geisel led Frias to bring back Casoy. Abramo reformulated the newspaper and led the first of many graphic reforms that would follow, in 1976; he hired columnists such as Janio de Freitas, Paulo Francis, Tarso de Castro, Glauber Rocha, Flavio Rangel, Alberto Dines, Mino Carta, Osvaldo Peralva, Luiz Alberto Bahia and Fernando Henrique Cardoso. Folha became one of the main forums for public debate in Brazil. Contrary to some expectations, this editorial posture was preserved and developed by Casoy during his tenure (1977-1984). In 1983/1984, Folha was the main bastion for the Diretas Já movement, an attempt to change the voting system adopted for presidential selection, from a Congressional vote to direct popular voting. There was an immediate and strong reaction to the use of "ditabranda",  a word coined in Spain during the 1930s when General Damaso Berenguer replaced General Primo de Rivera and governed through decrees, revoking some of the decisions adopted by the preceding dictator. That period is commonly referred to as "Berenguer's dictablanda" (and the word was used later on, in different contexts, in Chile, Mexico, Uruguay and Colombia). 1 ^ According to the ad itself, "I qembu le sizwe" means "selection" in the African language Zulu. 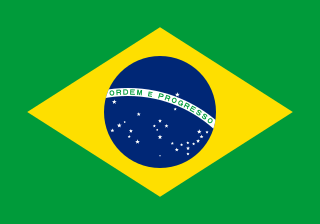 The Brazilian team is widely known in Brazil simply as "Seleção" (Selection). The Workers' Party is a democratic socialist political party in Brazil. Launched in 1980, it is one of the largest movements of Latin America. PT governed at the federal level in a coalition government with several other parties from 1 January 2003 to 31 August 2016. After the 2002 parliamentary election, PT became the largest party in the Chamber of Deputies and the largest in the Federal Senate for the first time ever. With the highest approval rating in the history of the country, President Luiz Inácio Lula da Silva is PT's most prominent member. His successor Dilma Rousseff, also a member of PT, took office on 1 January 2011. José Serra is a Brazilian politician who has served as a Congressman, Senator, Minister of Planning, Minister of Health, Mayor of São Paulo, Governor of São Paulo state, and Minister of Foreign Affairs of Brazil. Adonias Aguiar Filho was a novelist, essayist, journalist, and literary critic from Bahia, Brazil, and a member of the Academia Brasileira de Letras. Dilma Vana Rousseff is a Brazilian economist and politician who served as the 36th President of Brazil, holding the position from 2011 until her impeachment and removal from office on 31 August 2016. She was the first woman to hold the Brazilian presidency and had previously served as Chief of Staff to former president Luiz Inácio Lula da Silva from 2005 to 2010. Luiz Frias is the chairman of the board of directors for both Grupo Folha and Universo Online based in São Paulo, Brazil. He is an economics graduate from University of São Paulo, with a master's degree from the University of Cambridge, England, and the Université de Paris (Sorbonne), France. He joined Group Folha in June 1981, and was appointed chief executive officer (CEO) in 1989 and chairman in 1991. He has been president of UOL since it was founded and is also the president of Group Folha. Luiz is the son of Octávio Frias, president of Grupo Folha until his death in 2007, and the younger brother of Otavio Frias Filho, editorial director of both Grupo Folha and its main newspaper, Folha de S.Paulo. Octavio Frias de Oliveira was a Brazilian businessman who gained recognition for turning newspaper Folha de S. Paulo – acquired by himself and partner Carlos Caldeira in August 1962 – into one of the most influential Brazilian media organizations. The newspaper became the cornerstone for a conglomerate called Grupo Folha. Lélia Abramo was an Italian-Brazilian actress and political activist. Lula, Son of Brazil is a 2009 biographical Brazilian film based on the early life of former Brazilian president Luiz Inácio Lula da Silva. Directed by Fábio Barreto, the film was released on January 1, 2010. Upon its release, Lula, Son of Brazil was the most expensive Brazilian film ever, with a budget of over 17 million reais, being later surpassed by Nosso Lar. On September 23, 2010, the film was unanimously chosen by a Ministry of Culture commission as Brazil's submission to the 83rd Academy Award for Best Foreign Language Film, despite not having been chosen to compete. Cláudio Abramo was a Brazilian journalist and author. Born to Vincenzo Abramo and Iole Scarmagnan, his siblings are Athos Abramo, the Trotskyst activist Fúlvio Abramo, Beatriz Abramo, the actress Lélia Abramo, Mário Abramo and the engraver Livio Abramo. He was married to Hilde Weber, a cartoonist, who gave him a son, Claudio Weber Abramo, current executive director of the organization Transparência Brasil and a famous oppositor to political corruption in Brazil. Later he married Radha Abramo, who gave him two daughters. He was also Perseu Abramo's uncle. Eugênio Bucci (Orlândia) is a Brazilian journalist, known for his works at many Brazilian publications and also for his time as president of Radiobras. Octavio Frias de Oliveira Filho, known as Otávio Frias Filho, was a Brazilian newspaper editor. He was Folha de S.Paulo's editorial director since 1984, as well as Grupo Folha's editorial director. Como se Tornar o Pior Aluno da Escola is a 2017 Brazilian comedy film based on the eponymous book by comedian Danilo Gentili. The film was directed by Fabrício Bittar and the screenplay was written by Gentili with collaborations from various other writers. Therezinha de Jesus Zerbini ORB was a Brazilian attorney, feminist leader, and founder of the Women's Movement for Amnesty in Brazil. She was a personality that marked the contemporary Brazilian history, reporting that civilians and politicians alike who opposed the Brazilian dictatorship had been imprisoned, tortured, and persecuted, a statement which was systematically denied by the military authorities. Falha de S. Paulo was a Brazilian humorous website devoted to satirize Brazilian Folha de S.Paulo newspaper. The website was maintained by brothers Lino and Mario Bocchini and was shut down after Folha sued them claiming they used their brand inappropriately by trying to mimic their graphic project, font and logo. Both brothers, however, accused the newspaper of trying to censor them and received support from multiple personalities and organizations. ↑ "Brazilian media". Embassy of Brazil in London. Archived from the original on 14 July 2015. Retrieved 8 August 2015. ↑ (in Portuguese) Editorial. "Limites a Chávez" Archived 5 January 2010 at the Wayback Machine . Folha de S.Paulo. 17 February 2009. (Posted at NucleodeNoticias.com.br on 27 February 2009). ↑ BENEVIDES, Maria Victoria de Mesquita. "Maria Benevides critica a 'Folha': 'Ditabranda' para quem?". Carta Capital . 27 February 2009. ↑ MAGALHÃES, Luiz Antonio. "Folha publicou ficha falsa de Dilma" Archived 7 October 2009 at the Wayback Machine . Observatório da Imprensa. ↑ "Tendler: "Só um débil mental não viu que era piada do Lula"". Blog do Noblat. O Globo . ↑ "VEJA 1 – O "MENINO DO MEP" FALA EM "MAR DE LAMA" | Reinaldo Azevedo - Blog". Veja.abril.com.br. 28 November 2009. Archived from the original on 15 June 2011. ↑ "Sem pĂŠ nem cabeça, irresponsåvel, delirante - | Observatório da Imprensa | Observatório da Imprensa - Você nunca mais vai ler jornal do mesmo jeito". Observatoriodaimprensa.com.br. Archived from the original on 2012-09-08. ↑ "Lixo em estado puro - Observatório do Direito à Comunicação". Direitoacomunicacao.org.br. 30 November 2009. Archived from the original on 6 July 2011. ↑ ""Ombudsman da Folha de S.Paulo acusa jornal de ser parcial na cobertura eleitoral"". Archived from the original on 15 September 2010. Retrieved 30 November 2018. ↑ (in Portuguese) "Brincadeira no Twitter critica manchete da Folha sobre Dilma". A Tarde. 5 September 2010. Retrieved 12 September 2010. ↑ "Folha de S.Paulo tira do ar, na Justiça, site que a criticava". Archived from the original on 10 January 2016. Retrieved 30 November 2018. 1 2 Vasconcelos, Izabela. "Fundador do WikiLeaks defende liberação do blog Falha de S. Paulo" [ dead link ]. Comunique-se. 23 December 2010. Retrieved 23 December 2010. Wikimedia Commons has media related to Folha de S.Paulo .